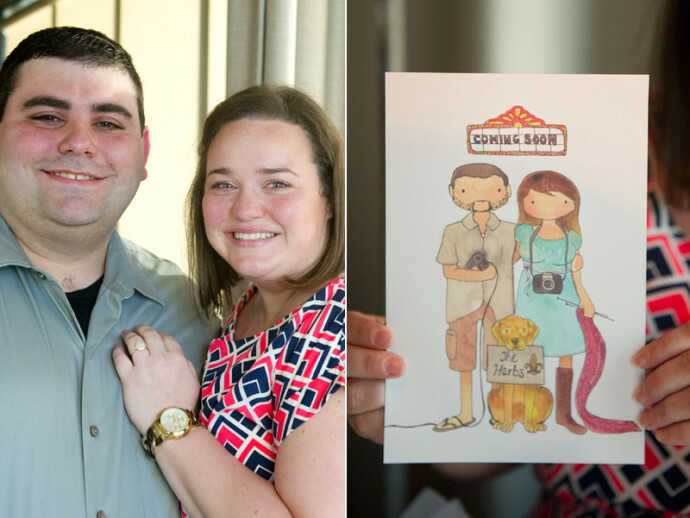 It all started with a high five for these Louisiana sweethearts! And let me tell you, this is what love looks like folks!! Jeremy and I were set up by my sweet friend Chrissy! At the time, Chrissy and I were roommates and she worked with Jeremy. On our first date, I was so nervous that at the end of the night I gave him a high five and jumped out of his (parked) car! After a few months, I warmed up to him and we've been inseparable ever since. This is a good one! I was in Florida second shooting a wedding with my friend Catherine, while he was home in Louisiana. I had been really anxious to get engaged and had (not so subtly) expressed that to Jeremy before I left and then to Catherine on our road trip to Florida. Little did I know, they had been planning behind my back for months! The day after Catherine and I photographed the most beautiful wedding, I was told that the mother of the bride, Kathy was taking us to dinner! All day, I had been in contact with Jeremy! He had previously taken photos of himself with our dog Milo before he left and would send them to me throughout the day while he was en route to Florida to propose! When we got to the restaurant, Catherine then told me that Kathy would be late and we were going to have a seat at our table to wait for her. Catherine took out her camera to snap a few photos (as she always does) and we ordered drinks. Before the drinks could arrive Jeremy walked up to the table! I was so shocked that all I could do was squeal "What's happening?" and "Oh my God!" repeatedly. Jeremy got down on one knee and simply said, "I love you! Will you marry me?" I said "Yes!" through the tears and then he tried to put my ring on my right hand! I couldn't help but laugh! Our waitress brought champagne and we celebrated with two of our closest friends! The best part is that Catherine captured it all on video! The next day we went out to the beach and took a few photos to commemorate the time! How did you choose the location for your wedding? Much like choosing to spend my life with Jeremy, choosing our location was easy! I knew I wanted to get married in the town I was raised in, Abbeville, LA. There is a beautiful Catholic Church that I had grown up in and it was where I had always dreamed of getting married. Jeremy knew it was important to me so he was on board! What type of venue were you looking for? For our reception, went with a traditional ballroom. I wanted something romantic, a little bit formal and, a fancied up version of us. Green is our favorite color, so, I knew I wanted that incorporated a lot throughout our wedding and I loved the trend of having different style sequin and beaded gold gowns. I did a few searches and found some great inspiration on Pinterest (of course)! I have three sisters and I really wanted them to stand out, so I chose to put them in the gold dresses and the rest of my girls in the hunter green gowns. I knew I was going to find my bridesmaid dresses from Bella because before I was a Bella bride I was actually a Bella bridesmaid :) When my friend Anne was getting married she invited me along to pick out dresses for her wedding and it was such a great experience that returning for my own wedding was a no brainer! Planning a wedding is stressful and full of decision making! Shopping at Bella made the process of choosing and ordering bridesmaid dresses SO easy and fun! It was so nice to spend time with a few of my girls in a comfortable environment. Danielle and Meghan are so friendly, sweet and knowledgeable that they made what could have been a stressful process relaxing and fun! My gown came from David's Bridal (which actually kind of surprised me :)!) My mom picked out this particular dress and I wasn't crazy about it. When I tried it on, it fit perfectly! I took that as a sign and bought it a few days later! Am I allowed to say the whole day? There were a few high points, like, spending the day with my bridesmaids, mom and aunt, and our first look! My other favorite part of our day was exchanging our vows. Out of everything that happened that day, that is what sticks out in my mind. Out of all of our wedding photos, those are my favorites. I was such a special moment! Being a second shooter, I've seen A LOT of weddings. I took little bits and pieces of each wedding as inspiration for things I knew I had to have, and for a few things I knew I could live without. One of the things I knew I could not live without were flowers. Specifically, flowers from Mia at Root Floral. I took a lot of inspiration from her work. Her designs are always unique and romantic. I think our wedding ended up being the perfect blend of gold glitter, romance, and us! I think it is important to keep the people pleasing to a minimum! Being considerate of peoples' feelings is important, but, at the end of the day, it's about you and your fiancé. Worry less about what others think and worry more about having the time of your life! You only get to do this once!